Tonight there have been a number of media reports of a fatal road crash in Co Donegal. Multiple media sources said the victim was a motorcyclist aged in his 50s. RTE said that it happened at Castleforward in north-east Donegal, not far from the border with Co Londonderry, at about 5.30pm. The BBC reported meanwhile that it had been in the Fahan area, on the Buncrana-Burnfoot road. It said a car had also been involved and that its driver had not been injured. It added the incident had affected traffic towards Ballyliffin, where the Irish Open begins today. 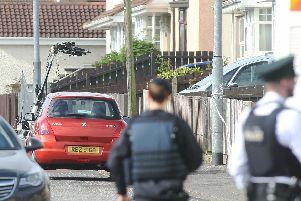 Both media sources said that the motorcyclist had been taken to Altnagelvin hospital but did not survive. An Garda Siochana could not be reached directly for more information.